Mounted pencils on 2.35mm or 3mm spindles in a variety of materials. Pencils are particularly useful for delicate cleaning and polishing of small or detailed items. 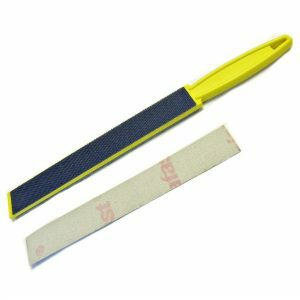 The flexible bristles can access areas a standard mop will miss. The flexible bristles can work their way into detail and tight spaces. Horsehair, White/Grey Hair, Mixed Hair – All hair wheels are soft, grey/white is the softest however and is popular with Jewellers in particular. All hair wheels are useful for polishing with compound. 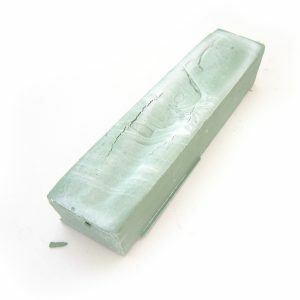 Black Bristle– A stiff bristle ordinarily used for polishing with compound. Steel and Brass– These wheels are useful for cleaning, brightening and texturing in hard to reach areas. Hair, bristle, brass and steel. 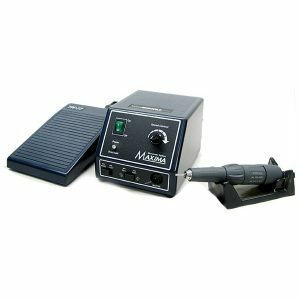 – they can be used for polishing with a compound or the metal brushes are used for texturing metals. 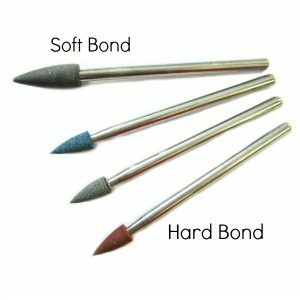 Working on precious metals – gold or silver – The brushes can be used with Rouge compound. 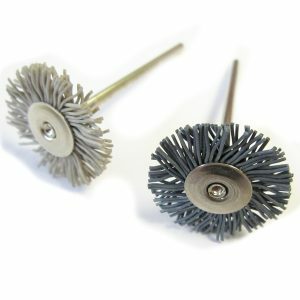 Jewellers commonly use these brushes on a 2.35mm spindle in a pendant motor or drill. 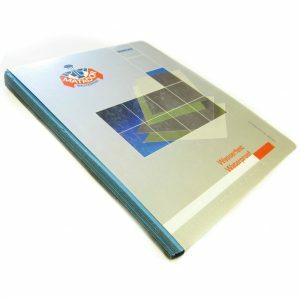 The hair and bristle brushes are used for polishing and the brass and steel are used for cleaning and texturing metal surfaces. 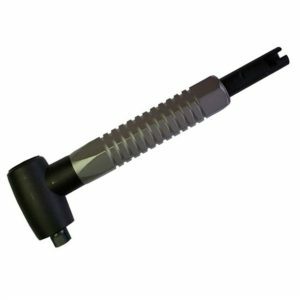 Polishing Precision injection or press mould tools use these small pencil brushes for polish down into tight areas. 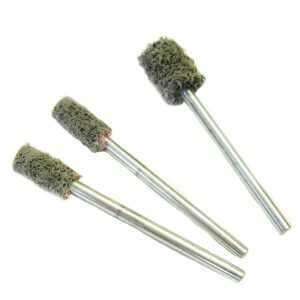 These Polishers use diamond compound with the bristle and hair brushes to create a polished surface finish. again the Bass and Steel can be used for texturing. The pencil shape of these brushes is very helpful for reaching down holes or slots. When machining or casting details components often brass or steel brushes can be used for deburring or cleaning. 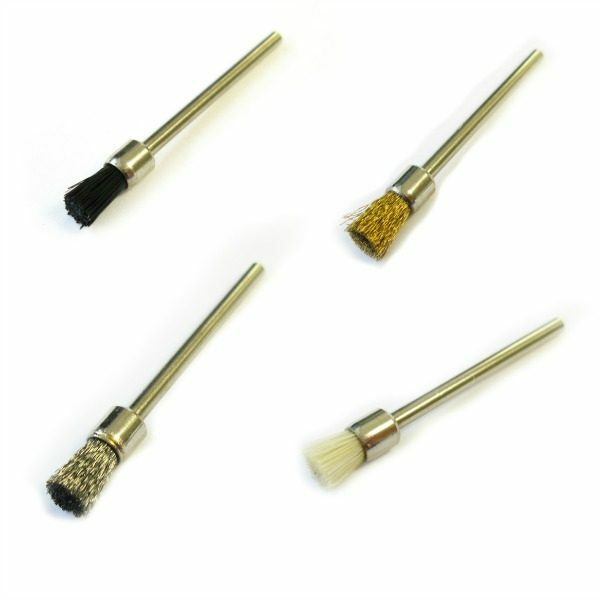 These brushes are quite aggressive and can therefore be used to remove burrs or rust. 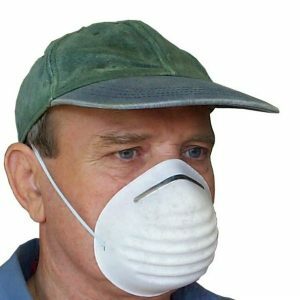 they are long lasting and great for down hole cleaning. Available on a 2.35mm and 3mm spindle these wheels are used with pendant motors (flexshafts), Micromotors, Air tools or hobby drills. Tools do vary so it is important to check what spindle it will take. 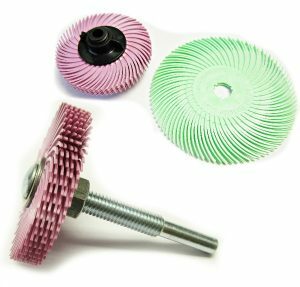 Bristle and hair wheels are used with compound for polishing. 2.35mm mounted wheels are particularly popular with jewellers and silversmiths.